We are so excited to publish the latest from our friends at Funding Gates. Check it out! The top accounting schools in the country are teaching quite a few new lessons and strategies since you were last a book-toting future CPA. I got the inside scoop from several newly minted accountants on what key concepts are considered to be the most important to help level the playing field! The simplest yet most successful business lesson being taught in the top accounting schools these days is to expand one’s practice into niche areas and services. Offering niche services is easy, it’s all about framing the knowledge you already have, and taking advantage of the many new certification courses available to supplement any knowledge you don’t already have. I know you’re busy, so I already found a report on which niche services provide the most additional income! No thanks necessary- just tweet it! SEO. If you shudder at the sight of this acronym- you’re really missing an incredible opportunity. Today’s newly minted accountants were taught to embrace the concept, and are now making the practice of search engine optimization work for them! Today’s potential client’s journey beings at Google, with a search for either a basic accountant query or a with a more detailed search for a specific accounting service they need (you have your Specialties & Industries page loaded up with such keywords right?). Google now emphasizes local options for certain types of searches, and accounting services is certainly one of them. Did you know that with recent algorithm changes, Google Plus pages for local businesses meeting the search query are displayed above the actual web page results? Do you have a Google Plus page for your business? Here’s a second, equally important factoid for you: more websites and content are viewed on mobile devices than on desktop internet browsers. If you site isn’t mobile-ified- stop reading right now and go fix that. But leave this article up, we just got started! You still have 4 more lessons to go! According to a March 2015 study by Google, more than 50 percent of all B2B researchers are millennials. When considering your potential client profile, keep in mind that these days, it’s likely a young millennial who is presenting his boss with his top three recommendations. You need to appeal to those millennials! Many of the lessons here will help you do that, but you should also make any effort possible to tailor your wording, promotions, tactics, branding, and of course, content to resonate with them. For example, frame your services and expertise in the context of innovation, technology, and modernity. Millennials love those things! Sure people tease young people today about their preference for flexible work hours, free lunches and loft-style work offices (every office cannot be Google ok? )– but they are actually on to something! According to the American Psychological Association (APA), studies on psychologically healthy workplaces – those that foster employee health and well-being while enhancing the company’s performance – consistently show that minimizing workplace stress and fostering an emotionally healthy workplace reduces employee turnover and optimizes performance. According to a recent Inuit study, vacationers reported an 82 percent increase in post-trip productivity, and Henry Ford famously found that his car factory workers got LESS done during a 6 day work week than a normal 5 day work week. Potential expect to get a lot before turning to you for actual work. They want to free helpful, free resources on your website, social media, and possibly even newsletter. A recent KoMarketing study of customers searching for business services found that nearly 40% said informational and helpful resources were a “must-have” . On the other side of this strategy, most potential client to client conversions will actually come from the potential client “meeting you” on the web, through your free resources. This is called inbound marketing. The more helpful content you have across the web (like this accountant’s advice-graphic strategy), the more people will “meet you”. If your content helped them solve a minor problem, chances are very good they’ll come back for your actual services when they encounter a more complex problem- this is called being “top of mind”. Smart, young accountants are combining this content marketing strategy with traditional- search oriented strategy (and that’s how their firms grow so big, so fast!). 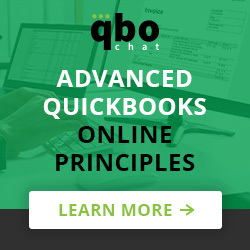 Young accountants fresh out of the top schools don’t have too much of a lead on this one- as can be seen from most #QBOChats and QuickBooks new Firm of The Future campaign- but they do still have a lead. 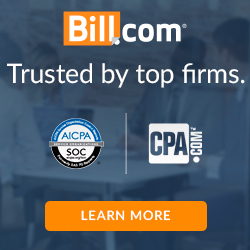 A 2014 AICPA PCPS/TSCPA Management of an Accounting Practice Survey found that 23% of CPA firms don’t have a website. What?! A recent survey by branding and marketing firm Hinge revealed, more than 80% of customers visit a website before they even speak to an accounting firm. Their survey also concluded that about 30% of customers have ruled out a firm because they found its website unimpressive. Technological usage is exponentially growing amongst all age groups- from smart phones, to apps, to new tools like wearables. To appeal to today’s potential clients, your practice needs to embrace the cloud, video & audio content, have a mobile friendly, sleek looking website, be present on social media, utilize technological tools, use analytics to their full extent, and allow for significant business to be done via mobile devices. Woah- right? Well just wait for the results of Intuit’s Firm of The Future, you’ll be able to see tons of great, real-life examples! Diana Mackie is a small business writer and content marketing expert based in NYC.